Eat This is NBCLA's twice-weekly look at the best meals in town. The Chocolate Pecan Pie, from Crumbs Bake Shop. Chocolate Pecan Pie Cupcake:Crumbs Bake Shop is making the reminiscent-of-pie cake, as well as a bevy of other holiday-flavored treats. Apple Cobbler, Caramel Apple, Pumpkin are all on the frosting-laden rundown. More Thanksgiving cupcakery:Sprinkles is doing a ginger-maple, an orange-cranberry, and a pumpkin. Plus there are sweets with sweet little turkey toppers. Yummy Cupcakes is cooking up Apple Pie and Pumpkin Pie. 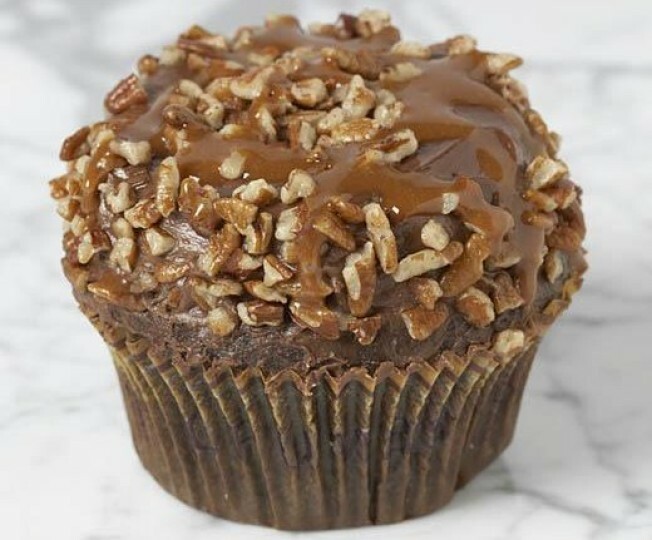 Price: The Chocolate Pecan Pie Cupcake, signature size, is $4.50. Pie's replacement? Pie has a throne, a throne made of buttery crust and crystallized sugar and full-fatted sour cream. We would never recommend unseating this kingly dessert. And yet, for the person attending a dinner, a person who has been asked to bring a dessert, the urge to do-it-up in a different way, at least for one year, cannot be denied. So instead of pie, you show with pumpkin pie cupcakes. Done. Calendars: A lot of our cupcakeries around LA work with calendars; you might check and make sure they're making the treats you want on the day you'll stop in. What's next for pie: We're hoping to see pie infiltrate more dishes. Pie-scented sandwiches? A apple-cobbler-esque roast? Experimenting chefs of Los Angeles, have at it.